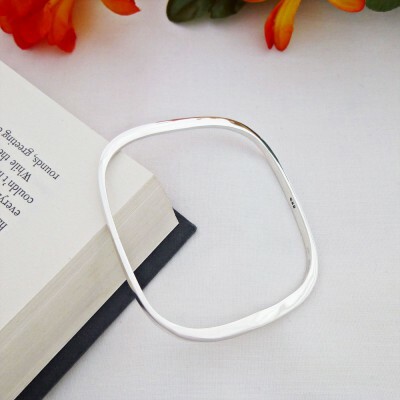 An amazing modern and very on trend solid silver square bangle which looks sleek on. 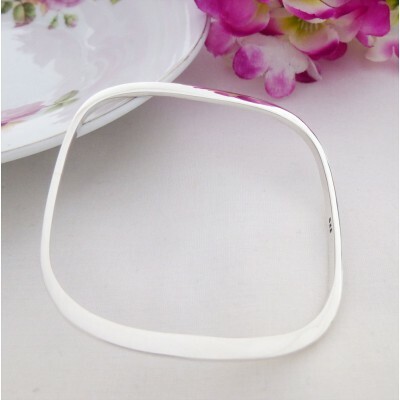 This is a fabulous plain square silver bangle that makes a huge fashion statement. This is a fabulous, contemporary solid silver square bangle which is very sleek and it will look amazing your wrist. 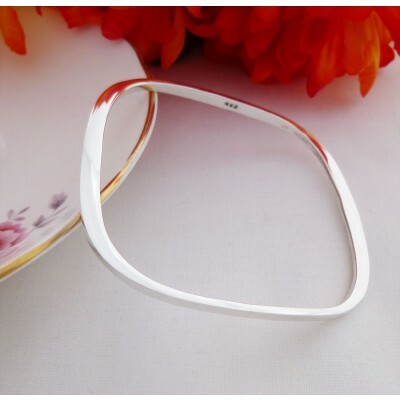 Two of the sides of this solid square bangle are thicker than the other two and it is this design that makes this solid square bangle very unique and interesting. If you are a fashion lover and you enjoy creating a statement look, then this funky solid silver square bangle is the perfect accessory for you. This is a quality 925 hallmarked sterling silver bangle. The Solid Silver Contemporary Square Bangle is a silver bangle that will make a lovely Valentine's gift for your loved. 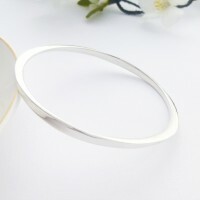 This is a plain solid silver square bangle which will be admired by others as it is simply gorgeous. It has a funky square design. This bangle measures approximately 6.5cm x 6cm.